Thanks for talking your time to write about ‘Building Your Story Brand’. It has actually been kind of difficult for me as I’m always confused on how wordy it should be, but you’ve made it very easy in your article and it isn’t actually as hard as I have always thought it was. Thanks once again for this fabulous article. If you want to do something great, you will need to be unique, that is for sure. You can ‘t just rehash what other do, or your brand will never take off. It is good to read about successful people, which I have done, and the one thing that always remains is that they are not afraid to fail, and never give up. You have to be able to pick yourself off and learn from your mistakes. What I really enjoyed about your article is that how wonderfully you have addressed the story. Also I loved it when you explained about raising the curiosity levels of the audiences by mentioning that you have something common with you favorite leaders.You have provided a great insight on creating a successful brand story and how it can positively effect the target audiences. Kudos to you. 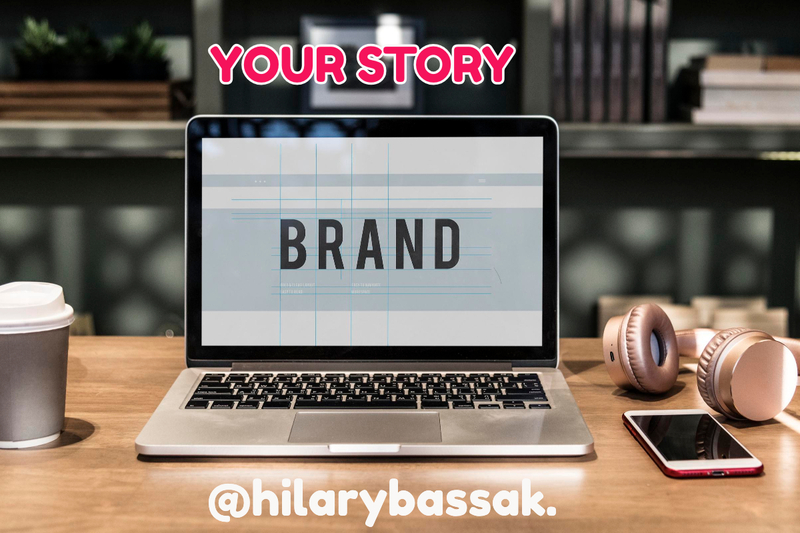 Hilary, thank you for your post about building a story brand. I think you are right when you tell people that being courageous enough to show more of your own personal story leads to “much greater rewards” than one would expect. People remember stories. The stories help them understand where you are standing and why you are saying what you say. Generic is boring, I say. You are very welcome Kari. There is a free mini course about using your story to build your brand. I am sure you will find it helpful and there is a ton of other info on that site. WOW. This was so informative for me. I am in the process of trying to build a online business but it can be very frustrating at times, and sometimes I really don’t kow what to write about. The tips and information on your site will help me along the way. I do involve my self with social media and post things within my niche, but after reading your articles theres more to building a brand and business than I thought. Thank You for all the information and will continue to read more on your site. Well done Hilary! Very goo post! This has inspired me to look at my About Me page and actually write my story! I agree that people that can identify with me and the reasons I do what I do will be much more likely to read my articles and take my recommendations. This is truly valuable information for anyone looking to establish a brand. Thanks Dave Glad you liked my post and found it helpful and really pleased that it is motivating you to take action! Thanks for this article, I personally think Its amazing for anyone who want to have a unique brand with a motivating story. I am a pencil artist and I got inspired to create my own brand by looking at other brands from other artists. I created my own brand with pieces of other brands weaved uniquely into mine to form a giant brand new art. This article really got my interest, you are doing a great job. Thank you for pointing that out the power of my story. This is my 6th month in as an affiliate marketer and I have been focusing on my niche and writing good content. I totally agree that people will buy from you more when they get to know you, it’s more personable in a sense. I will work hard on my story and will utilize youtube as well so my audience will get to know my personality better. Hopefully I stand out from the crowd. The one line that stands out for me is, “It doesn’t have to be written in stone!” If there’s one thing I’ve learned about branding, is that it is constantly developing, changing and growing. At first I wanted to be sure that I was going to get my branding perfect ASAP so I could tick it off my list. So wrong! It’s something that unfolds and gets stronger the more you align with it. You have to live and create the story where you are right now. I did not have any knowledge on how to brand a story before reading your article. I really had a confusion in my mind that how can I make my own unique and effective brand. After reading your blog, I found the problem so easy for me. Now, I think it is the best way of branding to base on my personal life story. I could not even think that we can name our brand by being inspired from stories.